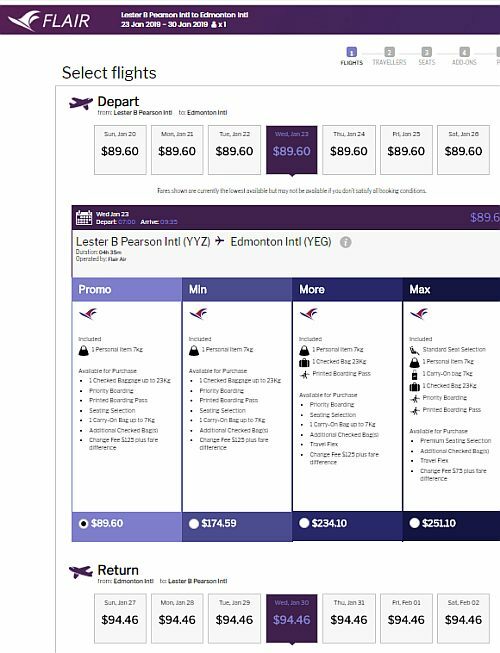 Flair Air has dropped the price of their flights from Toronto to Edmonton down to between $184 (personal item only) and $244 (with a checked bag) CAD roundtrip. $244 roundtrip is the price with a checked bag or carry-on bag included, for a more fair comparison against other airlines. The base price is $184 roundtrip, and includes *only* a personal item (must fit under the seat). Low cost carriers charge extra for *everything*. Vice versa trips (Edmonton to Toronto) are also available for a similar roundtrip price. 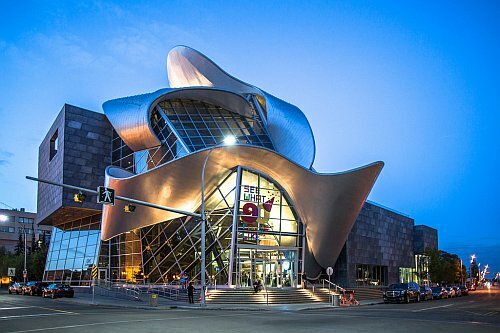 Update 12/6 - Air Canada and WestJet have dropped the price of their non-stop flights from Toronto to Edmonton down to $257 CAD roundtrip to compete with Flair. Vice-versa flights (Edmonton to Toronto) are available for a similar roundtrip price. 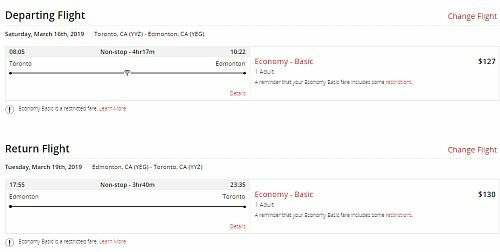 Update 12/26 - Air Canada has now dropped the price of their non-stop flights from Toronto to Edmonton down to $257 CAD roundtrip in May and June 2019 as well. Vice-versa flights (Edmonton to Toronto) are available for a similar roundtrip price. toronto, yyz, flight deals, canada, north america, alberta, edmonton, yeg and flair air.